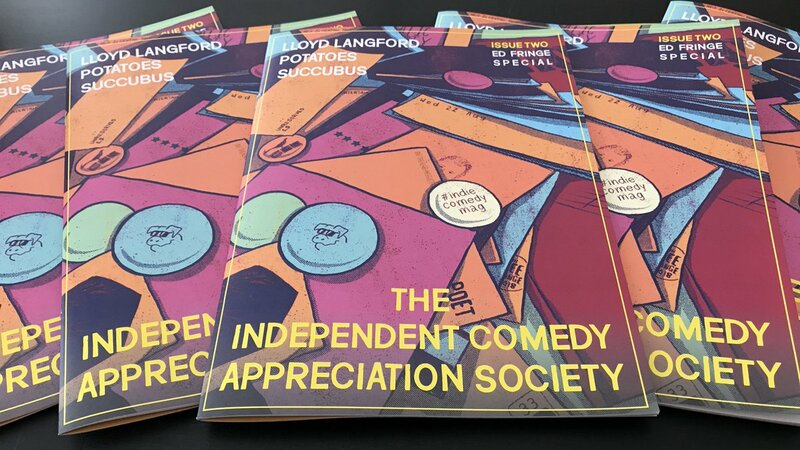 The Independent Comedy Appreciation Society is a fully illustrated magazine about supporting and encouraging independent live comedy, with curated contributions from acts, venues, and comedy enthusiasts. If you’re not sure what independent comedy is, here’s how I’d describe it; interesting, original and thoughtful comedy where the end goal is not fame or money. Those things are nice, but the point is to create something that is unique to the performer rather than emulating the material or style of big telly comedians. 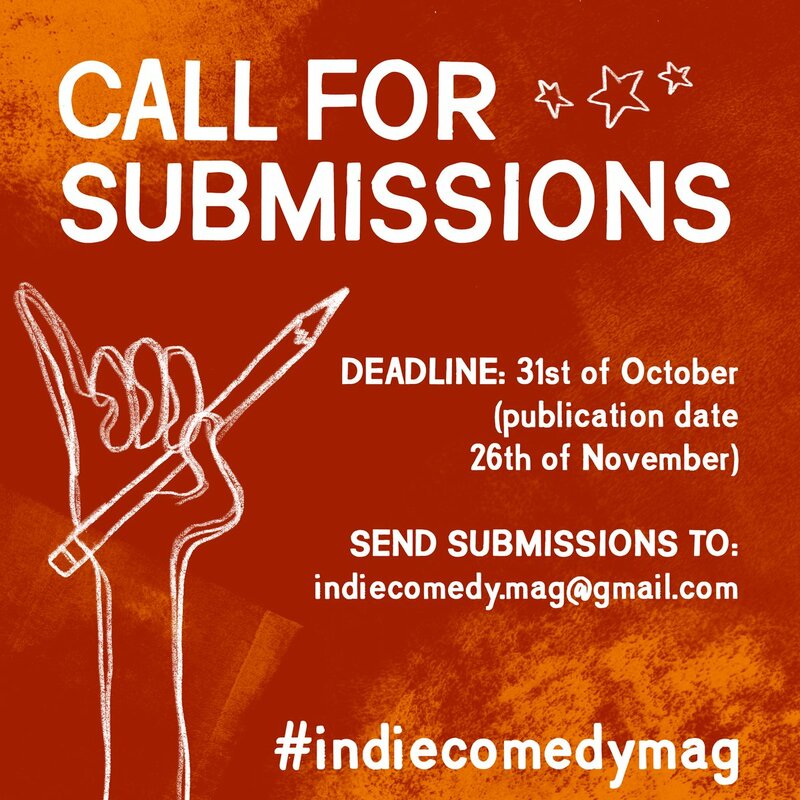 This magazine exists not only to provide a platform for those kind of acts to have their work published, but also as a show of love and encouragement for all of the independent comedy community. You can read our submission guidelines here! Your reflections on the past year in comedy. As above, but the coming year. Christmas gig experiences, good or bad or weird. Anything broadly festive, regardless of religion. or ANYTHING ELSE! Just be interesting. In the words of the brilliant Arts Emergency, who we featured in issue one, ‘ Sometimes if you want something to exist, you have to make it yourself ’. Go on, it’ll be a laugh. 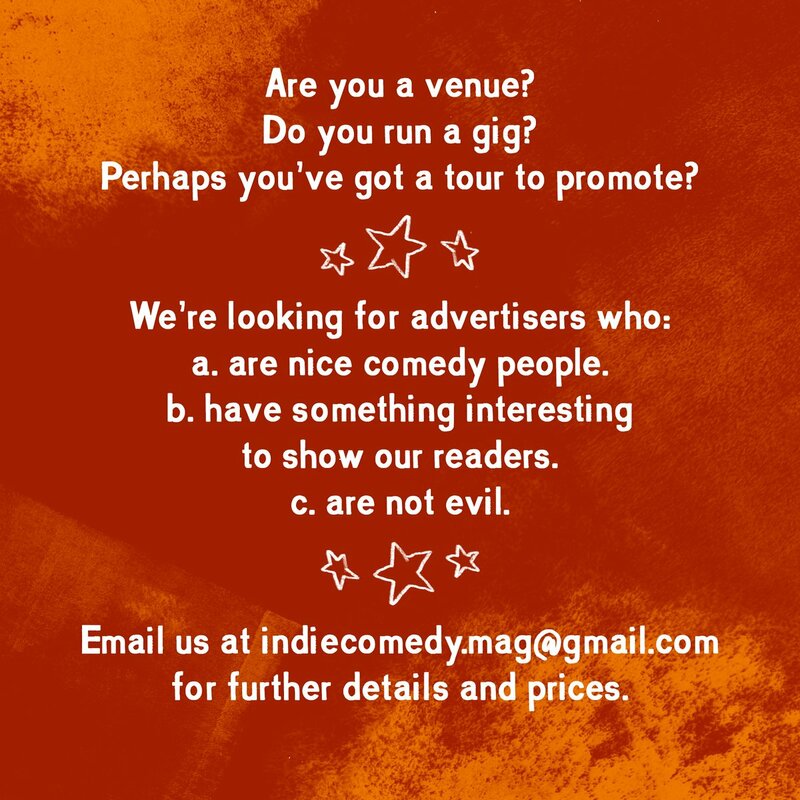 We’ll pay you a (very) small fee, and you’ll get a copy of the mag you’re in too. Find our advertising rate card HERE! Andy Barr, Conor Bailey, Joey Cannon, George Egg, Abby Forman, Jenny Grene, Col Howarth, Pete Jones, Lloyd Langford, Matt Macaulay, Ruby Martin, Amy Matthews, Lulu Popplewell, Katie Pritchard, Holly Raidl, Kat Sadler, Sam Schäfer, Christian Talbot, Chris Williams, & Odious Vex.